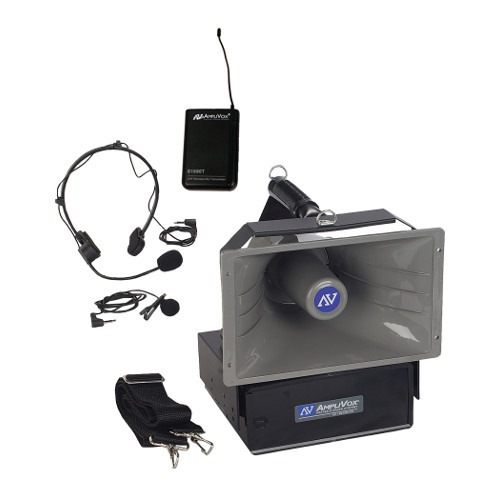 Half Mile Hailer is made for use in high noise areas and large open spaces. 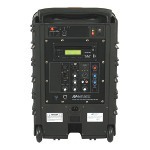 SW610A / SW615A - Featuring 16 Channel UHF Wireless Frequencies. New emergency siren button can quickly capture everyone's attention. Covers a football field, great for band practice, coaches, and outdoor athletics. 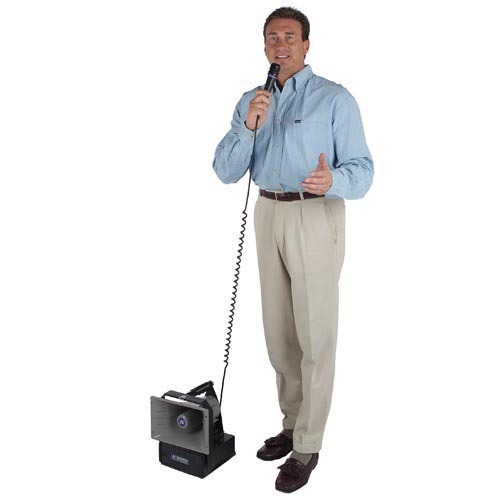 The S610A has a dynamic handheld mic with 5 foot coil cord. 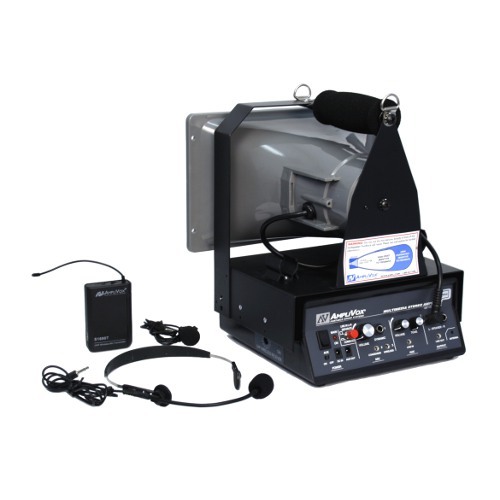 SW610A has a wireless headset & lapel microphones with transmitter. 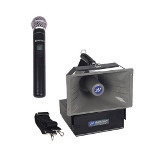 Half-Mile Hailer When you need to project clear sound up to a half mile away, use the PA system that lives up to its name, the AmpliVox Half-Mile Hailer. 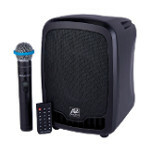 The amplifier features: dual wireless microphone jacks for multiple presenters, auxiliary input for iPhone or CD player, line out for recording, additional speaker jacks and volume and tone controls. 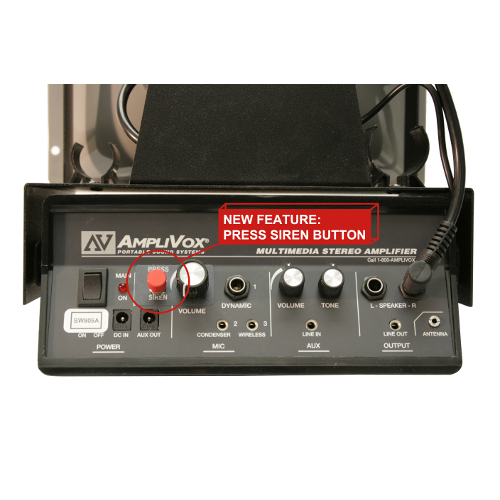 There is even a siren button. You can easily be heard over a half mile away with the Half Mile Hailer loudspeaker pa system. 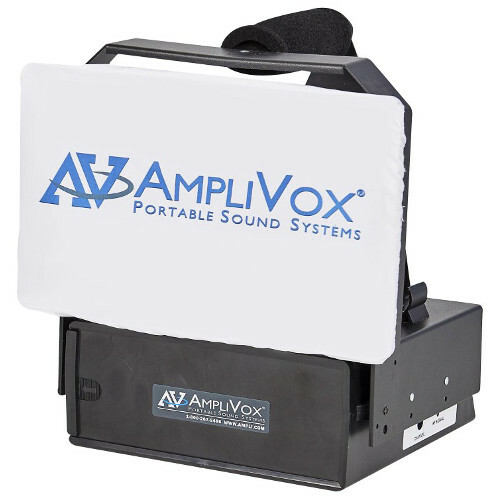 Its simple straightforward controls, and lightweight design make it the most practical and portable outdoor speaker sound system on the market. If you need to be heard in a large and noisy crowd this is your solution. Customize your Hailer with your logo and make it your own. Have your school team, company logo, advertisement, slogans, printed on these covers. 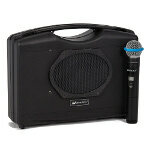 Great for special event organizers and corporate branding. Logo Size Requirements: Hailer Logos 10 inches in length and 6 inches in height. Logo File: Send eps or pdf, no jpg or tif files. I have been an auctioneer for nearly thirty years. I started out with a Perma Power portable sound system, then I purchased an Audio Buddy which I still use and just recently purchased the Half Mile Hailer. Pound for Pound, I think the AmpliVox products are one of the best buys on the market. They are sturdy, work well for my needs, and the prices fit my wallet. I have had my Little Buddy sound system serviced several times and am will pleased with the customer service and workmanship provided. 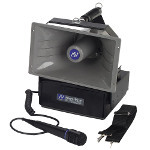 I purchased the Half Mile Hailer because on some auctions I need to cover a larger area and reach a large crowd that the Little Buddy might not be able to handle. 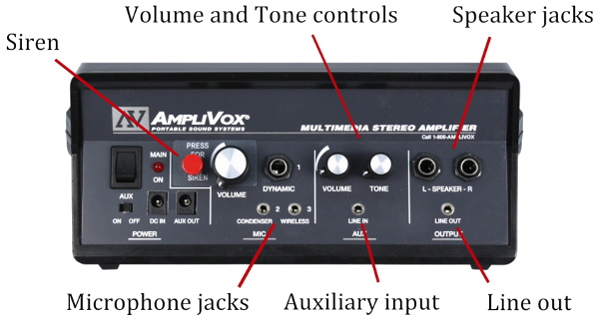 I would recommend AmpliVox to anyone! The half miler hailer works great. 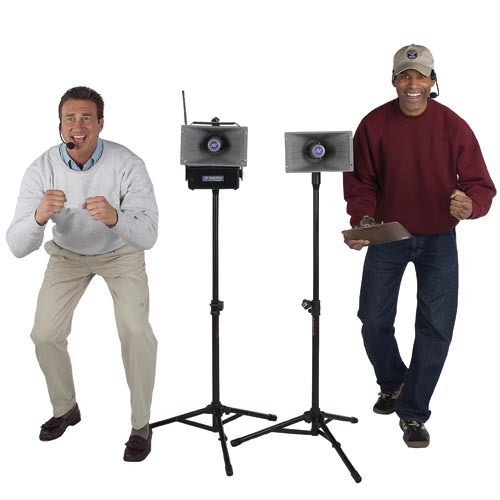 I do tailgate auctions and set the pa 40 to 50 feet from the auctioneers stand. The buyers love the clarity, it produces plan to purchase another one in the near future. Thanks very much for producing a quality product in the U.S.A.!!!!!!!!! "Easy and quick to assemble, we were able to move and use it in several areas of our race with no difficulty. The sound quality was excellent with no distortion... definitely enhanced the day for us and our participants." I have been using my friend's Half Mile Hailer since January 2015. We street preach together and have used it at many large and small venues. The clarity of the voice is phenomenal, the volume can be turned up very loud, and even at high volume the sound is not distorted but clear. We have found the Half Mile Hailer to be an excellent means of preaching God's Word to large crowds. Thank you for your great product!! I have had a Half Mile Hailer for over twenty years and it was used at My horse show series. It finally quit working and I say that was a wonderful product!!!! The Hailer family is great to use in large open spaces. 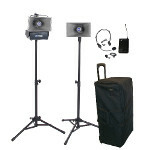 The kits bundle additional horn speakers, tripods, and carrying case. 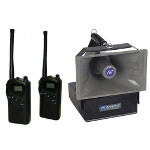 Megaphones are great for use in high noise areas and large open spaces. 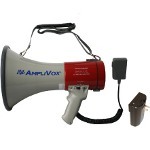 Use it to direct crews or to guide and alert crowds. 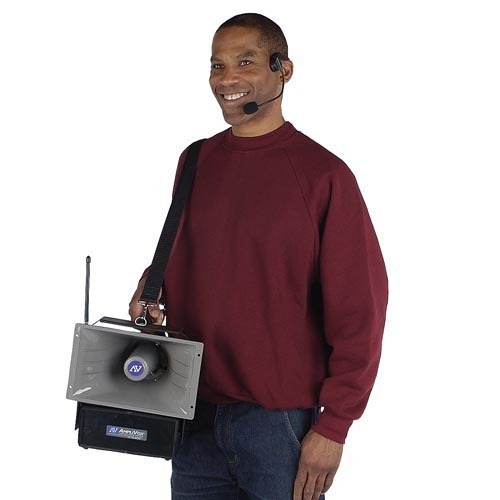 Portable 2-way radio PA system allows you to communicate live voice messages directly to a PA speaker up to 1 mile away.